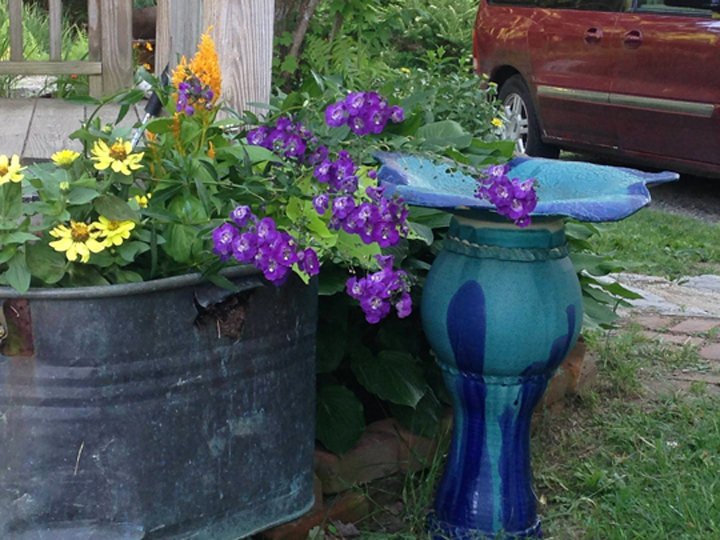 Welcome to Juliet Rose Pottery Studio where everyday is a beautiful day. Where owner and artists Juliet Bacchas and Linda Spelko create ceramics and sculptures of beauty and function. 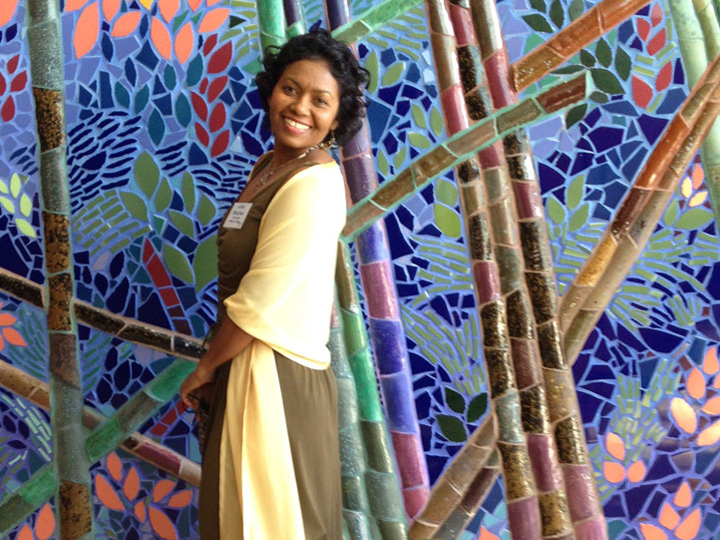 Juliet’s inspiration comes from her Jamaican heritage. 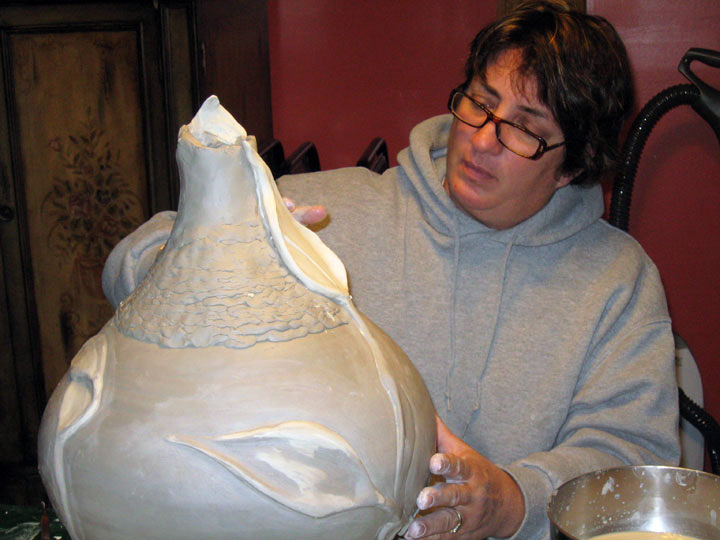 Creating from clay, her pottery pieces are linear, sculptural, graceful, large forms while more traditional pottery forms are created on the wheel by Linda. 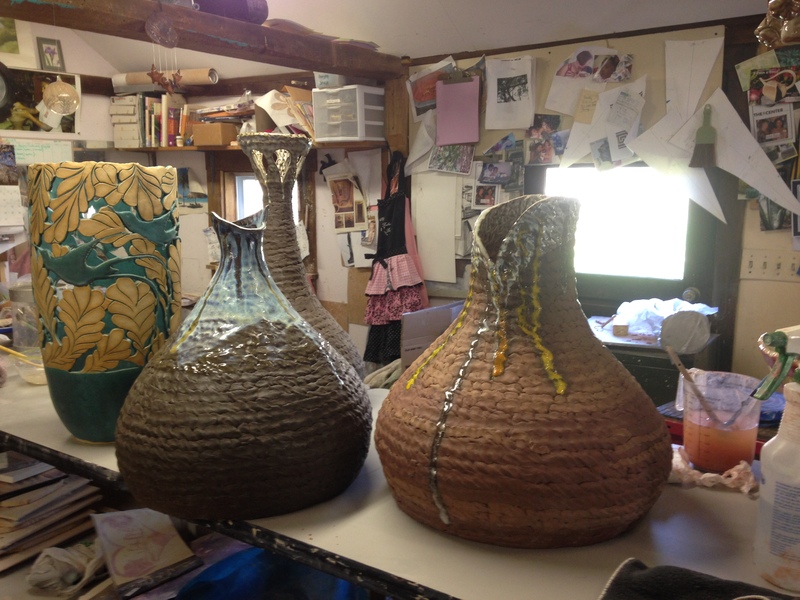 Juliet and Linda pride themselves on their unique colors, layering and combinations of glazes that are hand mixed in their studio. 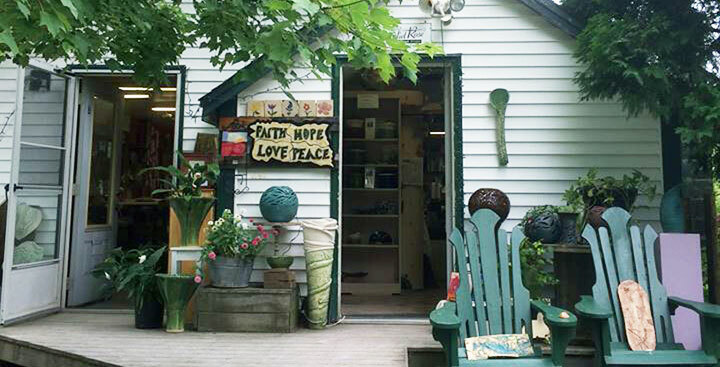 The Pottery Gallery & Studio also offers custom work, many workshops and classes. Check our studio page for class schedules or Email Us for more information. Our studio is situated within the heart of nature itself. Located in Massachusetts, we are surrounded by lush woods, wildlife and the beauty of nature. We have big beautiful windows for perfect views of our gardens and woods, It’s an artist dream! Our Studio is open to the public for workshops, for Independent Studio for experienced potters, Private Classes and 4 week classes throughout the year. Call 413-563-9916 or Email Us for more information. Art Works Gallery will be featuring the creative works of Juliet Bacchas during the month of February. Juliet's work will be on display at Art Works Gallery on 69 Main Street in Ware from February 1 - 23, 2019. Visit Juliet's creations at Art Works Gallery, Thursday - Friday: 3 pm to 7 pm and Saturday 1 pm to 7 pm. Choose from a variety of clay making projects that can be completed in an hour. NO REFUNDS - EXCHANGES ONLY: Juliet Rose Pottery will gladly exchange any item that are in new condition and free of damages by the customer. You can return item in the within 30 days of your purchase with receipt or proof of purchase. Upon receipt of the returned item, we will notify you via email, within a reasonable period of time, whether you are entitled to a return. Thank you.